The galleria has over 100 independent artists under one roof. Art entrepreneurs rent a space within our 6000 sq ft space in a busy retail District. 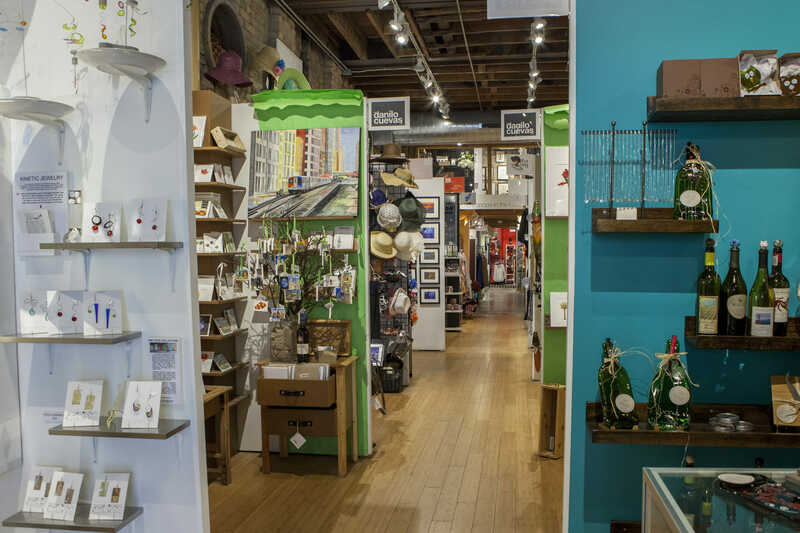 The andersonville galleria, in the heart of the thriving Andersonville retail corridor, is a retail market building that currently features over 90 tenants offering apparel, jewelry, artwork, home furnishings, giftware, accessories, antiques. fair trade, and gourmet treats. The andersonville galleria is located at 5247 N. Clark Street, in Chicago, which is right in the heart of Andersonville. Like no other neighborhood, Andersonville supports small retailers. Its mission is to maintain a unique shopping experience that cannot be duplicated anywhere. Andersonville prides itself on its dedicated support of locally owned businesses and small independent retailers who are respected and successful.